Palm has said that the Mojo SDK is currently in private prerelease, but will be available later this year as a free download from the Palm Developer Network. I'm sure there are many developers out there anxiously awaiting this free download so they can get to work and get a taste of Palm's Mojo. I read an interesting Ars Technica article today that I'd previously missed. Seems that right after the Pre and WebOS announcement, Ars Technica got a chance to talk with a developer who has used the SDK for the Palm Pre. The developer seemed to feel positive on Palm's handling of the developer community and felt positive about the platform's future. The developer didn't express positive thoughts regarding Apple's iPhone SDK though. He told Ars Technica that after exploring mobile development on Apple's iPhone SDK, he found a lot of their position towards their community to be "developer-hostile". Ars notes that's an obvious reference to Apple's insistence on enforcing a pointless NDA way past its expiration date, plus their strong hand in regulating what can and can't be developed for its platform. I've read several grumblings on other sites about Apple's policy for only allowing certain apps in their App Store. Head over to Ars Technica and read their full article. I'm so glad that Palm will be embracing the developer community with their Mojo SDK. I know that many people are worried about not being able to use their current Palm OS apps on Palm's future smartphones. Palm did say though that even though there will be no backwards compatibility out of the box with previous Palm OS software, "it could be possible with 3rd party work." 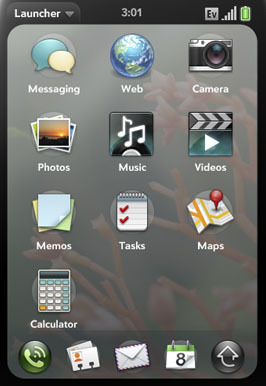 And I realize that many of the former Palm app developers turned elsewhere with the aging of Palm's current OS. Hopefully, Palm, along with the new and former developers, will get together and create some awesome apps for the Pre and future WebOS devices. There's no telling what great apps we might get to play with soon. I've seen some cool apps developed for the iPhone amidst the negativity felt towards Apple's strictness, so imagine all the good stuff we could see in the midst of such positivity with Palm's use of open standards.